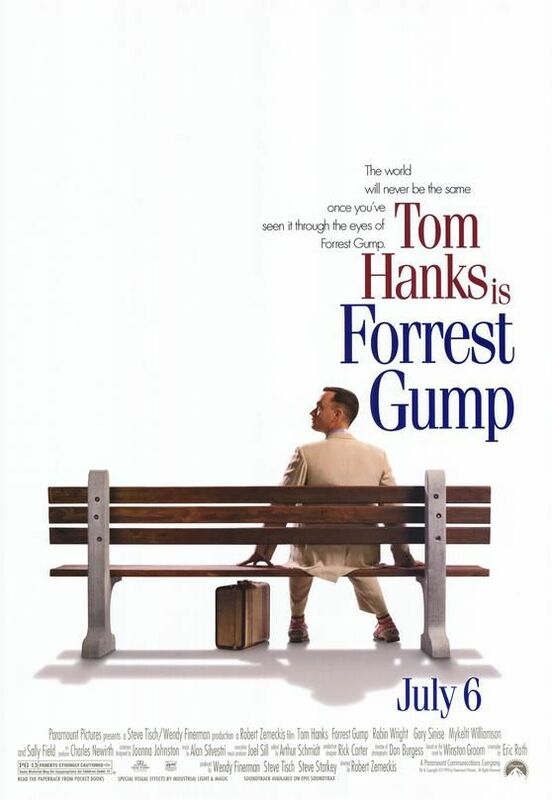 In 1981, Forrest Gump recounts his life story to strangers who sit next to him on a bench in Savannah, Georgia. On his first day of school in 1950s Greenbow, Alabama, Forrest meets a girl named Jenny Curran who, unlike the other children, immediately befriends young Forrest. Due to leg braces fitted to correct a curved spine, Forrest is unable to walk properly. One day, a young truck driver stays at the boarding house that Forrest lives in with his mother. The young truck driver turns out to be Elvis Presley who, while playing guitar for him, becomes enthralled at the jerky hip thrusting movements the hobbled Forrest makes while trying to dance. Later on, Elvis becomes famous by imitating the dance. Read more on Wikipedia.